We are a boutique agency based in Melbourne Australia, sourcing and booking narrators for authors, rights owners & publishing houses for the production of audio books. We also consult to self publishing authors for the production of e-books and print on demand books. Entertainment Depot is known for listing only the best talent in Australia, now listing and supplying the best established narrators in Australia and overseas. New talent: all new narrators are auditioned prior to listing. No, we don’t have a standard form to fill in, email us with your info, book and exact requirements, no two books are the same, as no two voices. Authors: we provide professional narrators, storytellers, famous entertainers and actors for the production of Australian audio books. 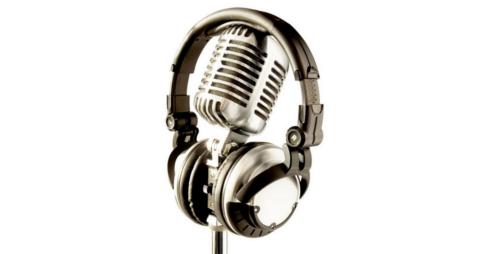 Recording Studios: we have a network of the absolute best, experienced recording studios in each state to produce the narrator’s audio samples as required by authors. We organize the narrator and the recording studio for the author as needed. We consult on the entire process. Celebrity voices, would you like a famous voice reading your book? We have a huge list, tell us your wish list! After 16 years booking musicians, entertainers and comedians we have a huge network of artists, actors and entertainers based in Australia and overseas. If you are thinking of hiring a recognized, iconic Australian voice for your audio book, let us know, we can bring that together for you. International, we have toured one of the most famous voices in the world, Nancy Cartwright, but alas, she is contracted to The Simpsons, but we have contacts worldwide of famous actors, musicians and celebrities so, please contact us with your wish list. From Los Angeles to Detroit…in the acting realm of LA and Motown performers to the blues musicians of Detroit, because that’s what we do! Autobiographies – are you famous? Do you have an amazing life story? Celebrities and musicians lead amazing lives and with incredible family histories, if you are one of those (and love dropping big names) you should do what you do best, record! Record your own audio book, tell your story to the world. We will get it sorted and bring it all together for you and with our world wide marketing services to create sales Musicians, comedians, actors. Parents read and record your child’s favorite story book. You record it and we bring it together to hear on all devices. If you would like to leave something behind for your loved ones to treasure forever, contact us, we can talk and walk you through the entire process, hearing a loved ones voice after they have passed is sometimes heart breaking at first, but a magical gift in a very loving way. Don’t want to read it yourself? Hire a famous voice or book a narrator from our narrator list to read your message, favorite book or tell your life story. I have first hand experience in producing E-books and POD paperbacks. It’s a winding path and steep learning curve for the inexperienced self publishing authors, the industry is changing so fast!. Traditional publishers are either not accepting manuscripts or are disappearing all together because of the enormous online competition. We consult on the best path for you and can supply you contacts for these services. Yes, find me a narrator!